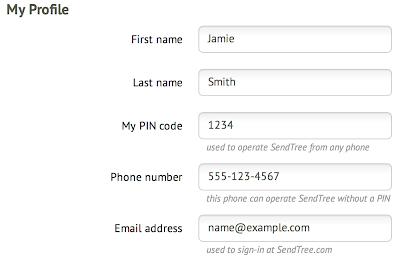 Complete your SendTree profile by verifying your account information. In just a few seconds you can eyeball the information under your About Me tab and make quick changes to your account. Sign in to your account at SendTree.com. Select the “My account” button (Hint: It’s in the upper right hand corner of the page). Immediately, you'll be redirected to the About Me tab. This page contains all of your account information. 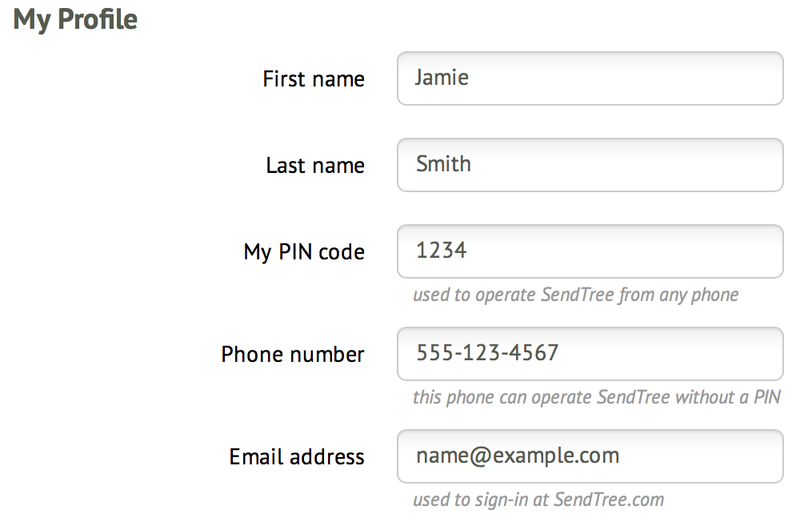 My PIN Code: This four-digit pin you assign yourself and authorizes your interactions with SendTree. You can change this pin as often as you feel necessary. Phone Number: This is your personal cell phone number you'd use to call your SendTree phone number. We recommend keeping this number up to date in case we ever need to contact you. Email Address: This is the email we'll use to send you any important notifications about changes to your account. Now that everything is up to date on your account you can get back to promoting your next big event, meeting, or sale!